If you need some motivation in your life, look to Jeremy Cowart. Cowart knew he liked art—painting especially—by the time he was in high school. He studied graphic design in college and worked for a few ad agencies after graduation. But he quickly realized he didn’t like working in the corporate world. So he bailed. Started his own graphic design company. And then, following the advice of a friend, he picked up a digital camera. At first, he photographed friends. Living in Nashville, Tennessee, he found himself surrounded by artistic people (search for “Music City” on the Internet, and you get Nashville, so no shortage of portrait or band work). And having little to no formal photography training didn’t stop Cowart from making a name for himself. It didn’t take long for him to be seen hanging with (and photographing) the likes of everyone from Taylor Swift to Sting and having his work published everywhere from ABC to ESPN and Rolling Stone to TIME. But while hanging with celebrities may seem the pinnacle for some, it wasn’t enough for Cowart. Not even close. So, Help-Portrait was born. And it continues today. When tragedy struck Haiti after an earthquake, Cowart took his camera to document the scene. Real people. Real stories. In other words, he isn’t finished. There’s no rest in this guy. Until he realized he could. Kiwanis magazine talked to Cowart about dealing with failure and celebrating success. And, most importantly, what it means to take a big chance and be brave. Why do you think the Kickstarter for The Purpose Hotel was such a success? Why do you think so many people were willing to give money for a project and to a person they’d never even met? I think there are a lot of great causes out there that people are excited about, but the causes themselves are not connected to each other. To take a project like The Purpose Hotel, where you combine so many causes, and you connect them all, I think that’s something really exciting. So many young people, when they buy something or use something, they want it to be doing something good, to help or change the world. That’s our goal with the hotel, that everything inside those walls is helping something or somebody. Tell us a little about a few of the charities that will be part of The Purpose Hotel. I love learning. I love to be challenged. If I feel I know something well, I tend to get bored, which is why I’m not being a photographer as much because it doesn’t challenge me as much as it used to. I’m moving into new territory and I love challenging myself as much as I can. With photography, I just dove in. I was self-taught. I figured it out. Why do you think you were such a success with photography? There are people who spend years at college or in classes and workshops who never make it. Why do you think you did? I don’t really know. Being in Nashville helped. It was easy to find work. Everyone’s a musician. Maybe I was in the right place at the right time. Obviously, I worked hard. But I think everything just came together. It’s difficult to find people who want to volunteer their time and efforts. Do you think with things like Kickstarter and GoFundMe, that it’s become too easy to be an “armchair volunteer,” to feel like you’re making a difference by clicking a button on your phone? The internet and armchair volunteering is part of it, but I think there’s just so much need, nonprofits are everywhere at every turn, and there are great causes everywhere, so I think people don’t view these causes to be as special as they used to be. I think the needs are as special and greater than ever. But I think there’s too much going on and people are tired and weary of always being asked for money or for their time to help. So how do you get people to back your ideas? How can more people be motivated to help? I think it’s got to happen through creativity and motivation. You simply must bring new ideas and new approaches. I think that’s why so many people got excited about the hotel. It was just so different and so exciting. People saw it as a way to help with a project that would then, in turn, help 50 to 100 nonprofits. Talk about armchair activism. I get to go sleep on a comfortable bed and help all of these great causes? Yeah. That’s a no-brainer. What would your tip be for someone who is scared to go after their own big idea? Make failure your friend. You can’t shy away from failure. I’m just not afraid of failure anymore. Our first Kickstarter project for the hotel failed, and everyone saw it. And I just didn’t care. I just said, ‘Oh well, we’ll just launch another one immediately. We’ll just try again.’ And it worked. You just gotta pick up and keep going. No matter what. What dream do you have that you’d like to see become reality? We’d love to know. 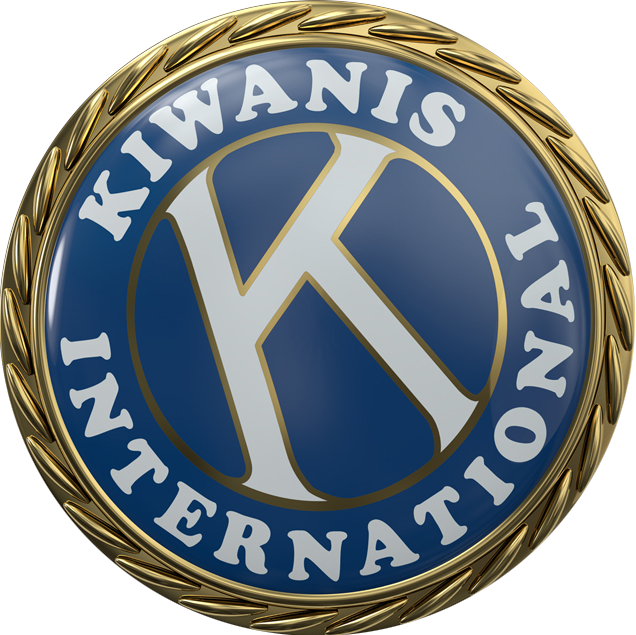 Email us at shareyourstory@kiwanis.org. Learn more about Jeremy Cowart and The Purpose Hotel by visiting thepurposehotel.com. This story originally appeared in the April/May issue of Kiwanis magazine.